Amanda started practicing yoga 20+ years ago as a way to balance out all of the other ways she moved. As a dancer, gymnast, marathoner, and group fitness addict, yoga helped to balance out all that intensity. "Yoga started as just another way to move my body, but soon became a way to "move" my mind and emotions when I felt stuck or was struggling. It made me learn to love and appreciate my body vs. feeling like I had to shape my body into something else. I couldn’t learn enough about the poses or the philosophy... And, that ultimately made me want to teach so I could share this magic with the world." She studied at Yoga Mechanics and received her 500 hr RYT, but has done over 800 hours of training since 2013. She is also a NASM Certified Personal Trainer, Spinning®️ Instructor, and soon to be Corrective Exercise Specialist. Her classes are accessible to all levels, including beginners, but are also challenging and playful. They focus on actions and alignment that build strength and stability, increase range of motion, and progress sequentially throughout the class and over time. Off the mat, she loves spending time outdoors, traveling with family and friends, adoring her 2 puppies, and being a forever student of movement and life. Karin has been teaching since 2010 and is a Experienced 200-hour (E-RYT 200) and 500-hour Registered Yoga Teacher (RYT 500) with Yoga Alliance, where she received her 200 and 500-hour Teacher Training Certifications from Yoga Sutra for Life (lead by her Guru, Ranjitha Sandeep, an internationally-acclaimed Ashtanga (Raja) Yoga Therapist). Karin started working in the corporate world since the mid-nineties while getting her business degree from the University of South Florida. After the crash of the real estate industry, she was trying to “find” herself and decide if to stay in the stressful corporate environment. During this search, she took up the hobby of snowboarding. She was awful! One of her snowboarding instructors suggested Karin take Yoga to help her become a better snowboarder. She was reluctant to take Yoga classes as she thought Yoga was silly and not for her since “she wasn’t flexible”. Though, she was so determined to snowboard and signed up for classes through the local township. Her yoga instructor was very welcoming and non-judgmental that Karin couldn’t help but enjoy the instructor and the yoga class. Then came Savasana and although she was very apprehensive to close her eyes, once she surrendered, she was hooked! She walked away from that first class feeling like a weight was lifted off of her mind and heart. She didn’t expect this feeling and didn’t know why it was there, but she happily kept coming back to class. She loved the physical strength and flexibility she gained, but she fell in love with Yoga and wanted to teach yoga to others for the strength and peace it gave her MIND. She believes there is a Yoga out there for everyone and you will get from Yoga what you need. Karin teaches a traditional Hatha/Vinyasa style Yoga that synchronizes movement with the breath. Hatha means the balance of the Sun and the Moon, just as you should find balance of your body and breath. Yoga is based on the Yoga Sutras of Patanjali - the first Sutra says, “As the Mind, so the Man.” Karin’s yoga classes are based from these premises and are a beautiful balance of the Mind, Body and Spirit. Her classes warm up and challenge the body, but focus on inner alignment to relax the mind. If you are in proper physical alignment, but your mind is elsewhere and not focused on the breath (Prana), then you are not getting half of what you can be from your Yoga practice. Karin also teaches Chair Yoga, Restorative Yoga, Yoga for Kids, Therapeutic Yoga, Power Yoga, Yoga to Improve Fertility, Pre-Natal Yoga and Post-Natal Yoga, and Yoga for those (adults and children) suffering from Depression, Anxiety or Addiction. Karin is also certified in using Tibetan Singing Bowls for Sound Healing. In addition to teaching Yoga, she does the marketing for Speedwell Design Center and greatly enjoys volunteering for the local guide dog organization for the blind (The Seeing Eye) and taking her Creature Comfort Pet Therapy dog, Bacchus, to Morristown Memorial Hospital for Pet Therapy visits to the patients and staff. She has taken workshops with Ranjitha Sandeep, Dharma Mittra, Jason Crandell, Matthew Sanford, Tao Porchon-Lynch, Julie Gudmestad, Alanna Kaivalya, Natasha Rizopoulos, Tias Little, Aadil Palkhivala, Bo Forbes, Manoj Chalam, Desiree Rumbaugh, and Naime Jezzeny. Shortly after graduating from The Ohio State University in 2008, Jessie found yoga. It was not love at first down dog. She followed her mother to her twice weekly yoga class with expectations that yoga would be sitting, stretching and breathing, and while the class did do all of those things, there was also 45 minutes of hard “workout.” The classes were challenging, Jessie would watch the clock and count down the minutes until the savasana (ahhhh, savasana). As an athlete growing up, Jessie had the competitive spirit and looking around the room she noticed these 50 year old woman were more advanced at yoga than she was as a recent college graduate. It took her eight classes to realize it wasn’t about being the best in the room. She felt different, better, taller, lighter, and more flexible in just four weeks time. This was an upgrade of both mind and body! At that moment of realization, Jess knew she wanted to immerse herself in the yoga world and share this passion as a teacher of yoga. In the fall of 2009, Jessie found herself in Phoenix, Arizona starting a seven month extended (200 hour) yoga teacher training program run by YogaWorks. It was dubbed the “Yale of Yoga”, because of the amount of reading, writing, studying, class work, and full yoga immersion that encompassed the training. Under the meticulous guidance of Malachi Melville, Jessie received her training certificate and the Yoga Alliance stamp of approval. When she came home to New Jersey in April of 2010, Jessie started teaching right away and has been dedicated to the practice since. A firm believer in continuing education, Jessie has taken countless workshops and immersions from many of the brightest minds in modern yoga. Simon Park, Dylan Werner, Matt Giordano, Phillip Askew, David Regelin, Ben Sears, Mackenzie Miller, Dice Iida-Klein, Abby Galvin, and Nevine Michaan have had a strong influence on Jessie’s style of yoga. When you attend Jessie’s classes, you can expect to start in meditation, finding center, connecting with your breath and then get moving. With a solid foundation in anatomy, the alignment cues will guide you though every asana. As the class progresses, Jessie gives options to take inversions or relax as needed. Expect to work and build a sweat. A client of Jessie’s once said, “she looks so cute, and talks so sweet, and then she kicks your tail.” All classes end with seated stretches and a good savasana. 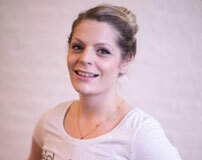 Jessie also received her restorative yoga teacher training certificate from Chris Loebsack in 2012. In February of 2015 Jessie was honored to be asked by Lululemon to be an ambassador of their Springfield Ave store in Summit, NJ. She loves the sense of community Lululemon brings to fitness world. Having taught over 3,000 classes Jessie has earned herself a very positive reputation in Morris County as teaching smart, well rounded classes that are also fun and inspiring. Beth obtained her yoga teacher certifications (200 and 500 hour) from Yoga Sutra for Life of Warren, NJ in 2010 and 2011. She continued with training at the Integral Yoga Institute of New York City for certification in prenatal yoga instruction - 85 hour program. She considers teaching yoga as her life's passion. She works full time as an Analyst since 1981 in law enforcement. "Beth" has an adult son and lives Morris County. Chana began her exploration with yoga in 2007. In a short time, yoga became a tune-up for her body and a tool for mindfulness. Her amazing experience and love for yoga has led Chana to becoming a teacher, enabling her to share and inspire others. "My style of teaching emphasizes on breathing, alignment and creative flows. My goal is to leave students feeling balanced, strong and educated when they leave my class. I truly believe yoga can benefit anyone... all you have to do is be open to try." Chana completed her teacher training at Younique Yoga in Cedar Grove, NJ in 2012 and has been teaching ever since. Throughout her teaching career, she has taught beginners, seniors, athletes, prenatal and children. John is a Certified Anusara® Yoga Instructor, E-RYT 500 and has been teaching yoga since 2003. He grew up playing ice-hockey and in college found an interest in weight training. Looking for something more, he discovered yoga in the year 2000. A perfect complement to any workout, John found yoga to be fulfilling & forgiving, extremely powerful and therapeutic. Uniting the mind with the breath and body, yoga proved to reveal and cultivate that ‘something more’. He no longer suffers from chronic back pain and has actually grown over one inch since the age of 30 and feels more 'capable' in his body. Combining inspiration with humor, he gets a kick out of watching students discover what they are capable of as they realize the results of their intention, learning the therapeutic and empowering value of the practice. 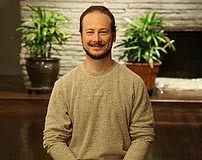 John offers local and international yoga retreats, workshops, Thai Yoga Bodywork and teaches privately and publicly throughout northern NJ. He is also a Certified Sommelier and combines yoga, hiking and wine tasting re”treats”! John is an avid hiker, backpacker, mountain biker, kayaker, swimmer and all around outdoor enthusiast who loves to play in the woods. Nancy found yoga in 2012 while she was a competitive track and field athlete to prevent injury and to stay in shape while in the off-season. She immediately fell in love with the practice. Initially, Nancy was attracted to the physical aspect, but soon realized it was so much more. The mental and spiritual benefits influenced my life in a positive manner. Yoga has made me stronger and more flexible on and off the mat. With a B.S in exercise science with a deep background in anatomy and physiology, Nancy graduated from a 300 hour Yoga Teacher Training in April 2015. She teaches a vinyasa inspired class infused with challenging and therapeutic sequences. She hopes that my students leave their mat feeling empowered, nourished and balanced. Kristin found yoga in 2010 while attending Syracuse University as a way to stay active during the cold winters of upstate New York. At the time, it was just something to help stay in shape and stretch after other workouts. It wasn’t until after graduating, that she started taking her practice seriously and realized her passion for Yoga. In 2013, she came to understand that yoga not only has physical benefits, but mental benefits as well. She then began studying the mental and mindfulness components of yoga both on her own and while earning her MSW degree. After that, it became her mission to find a teacher who understood the multiple layers of Yoga and through that research found Jessie Shapiro (who she studied under for her 200 hour TT) and the Be Well studio. As a 200 hour Yoga Teacher and Social Worker, she brings a supportive, mindful and strengths based style to each class. She teaches a Vinyasa and Yin infused class with an emphasis on alignment, breath and self-care. It is her goal to hold a space that is supportive, empowering and happy so that her students can flow without fear throughout their practice. Michelle graduated in 2015 from LifePower Yoga 200-hour Teacher Training Program at Life Time Athletic, Florham Park. Her training included: basic anatomy, asana benefits, modifications, Sanskrit chanting and breathing, and meditation. Her training was rooted in Ashtanga lineage, which she incorporates into her Vinyasa sequences along with the benefits of prana. Michelle has been practicing Yoga for 4 years and believes that Yoga promotes overall wellness as well as empowerment. Keeping the present in mind, Michelle’s class will focus on inspiration, living in the moment, and self-acceptance. Lauren has been practicing yoga since 2011. Lauren's mother suggested they try a hot Vinyasa class together and she was hooked. She enjoys the challenge yoga brings to her body, mind, and soul. Alison considers her education ongoing and her practice and teaching are constantly evolving in style and content. She is currently in her final year pursuing a Master’s degree in Acupuncture and Traditional Chinese Medicine. From her varied interests and pursuits, Alison weaves influence from all corners of her experience together to create an intricate web of ideas and to provide her students with flowing, comprehensive classes and sequencing. Alison offers a challenging but accessible, sweet and sweaty practice to all levels. Alison offers a challenging but accessible, sweet and sweaty practice to all levels. In general she teaches an open-level vinyasa practice which is heart-oriented, spiritually inspiring, and yet grounded in a deep knowledge of optimal body awareness and alignment. She can be known to teach sweeter-than-honey restorative and therapeutic classes as well. She also caters to more individual needs via workshops, private and semi-private sessions, corporate yoga, and more. Nicole began her inner journey with yoga in 2015; in 2017 she completed her 200-hour teacher training with Jessie Shapiro, at Be Well in Morristown, New Jersey. She continues to attend workshops, study under various teachers, while simultaneously reading and researching to deepen her spiritual path and to become deeply rooted in all principles of yoga. She strongly believes yoga is the foundation to a strong body, a clear mind and a healthy way of thinking. "The practice of physical yoga is meant as a door which you will walk through on the journey to a deeper relationship with yourself. The physical postures are like little gateways or keys that you will open as you explore deeper dimensions of your consciousness. This is the seed for transformation, not in the abstract sense, but it’s tangible, you can experience it in your body," Kino McGregor. 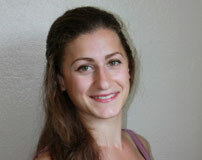 Nicole’s dynamic teaching style incorporates different teaching methodologies from various yoga lineages. Her classes are thoughtfully prepared, using intelligent sequencing, and weaving lessons from all eight limbs of yoga. She began studying yoga at the age of 24 to combat depression and anxiety, and heal from childhood trauma. Nicole is passionate about inspiring positive inner change in others because of her own personal experience of immersing herself into all avenues of yoga.